Together with some friends we drove to this mid north coast of New South Wales which is 390 kilometres north of Sydney three years ago for a four day holiday. The place was named after the Governor General of New South Wales Lachlan Macquarie when John Oxley, the first European to reach the place in 1818 named it after the governor general. It was a holiday period at that time here in New South Wales, and because of that the roads were very busy and police patrol cars were very visible along the highways and main roads. We encountered heavy traffic at Bulahdelah 235 kilometres north of Sydney and it took us sometime about half an hour to pass by this clogged road. We had our camping at the Melaleuca Caravan Park and as expected it was too, packed up with holiday makers who came from around New South Wales. We came to befriend some couples; ardent campers like us who according to them have been touring Australia and that they had just came from their holiday in Tasmania. 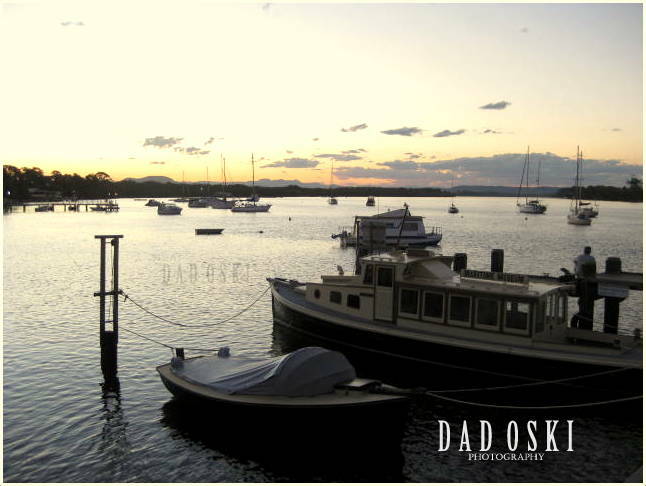 Another young couple came from Tamworth which is about three more hours’ drive north of Port Macquarie. The good thing about Melaleuca is that the site was clean and in a friendly setting which was just along the Hasting Drive of Port Macquarie. It has good facilities like swimming pool, children’s playground, family room (play games and watch TV), barbeque house and dining, and a fully equipped kitchen. 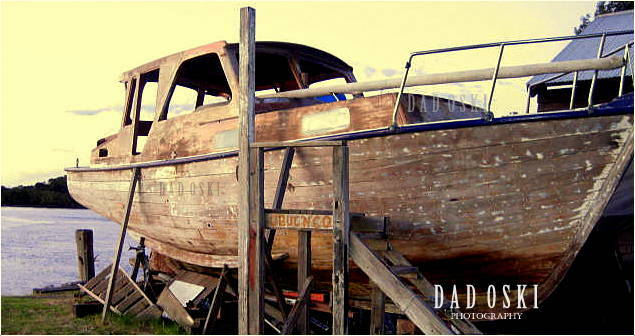 An old boat at the Hastings River’s bank. I was able to explore the surrounding areas before the sun sets off. I had a good walk up to the Hastings River where at a distant some boats were afloat and perhaps were fishing on the calm waters. The place was relatively calm, quiet and the people I met along the way were behaving very friendly with good smiles. 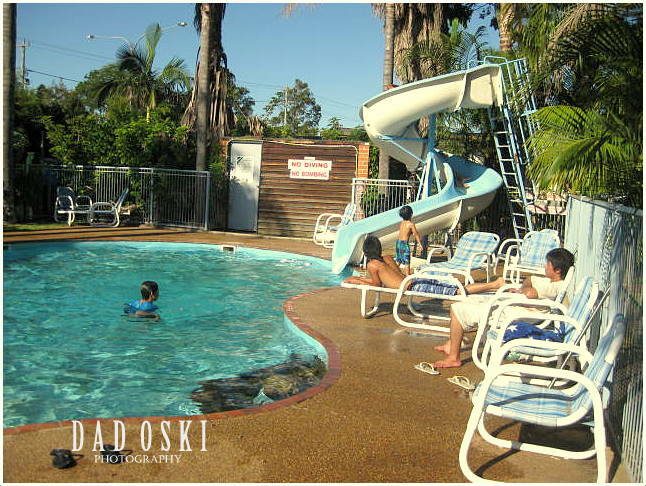 The swimming pool at Melaleuca Caravan Park. As always during the first day we’re very eager to roam around places of interests here. So, after taking breakfast, we drove to the Port Macquarie airport which is quite close from where we camped in. It is a domestic airport and we saw light planes parked at the runway. We had our photo sessions here and after that we visited Ricarodes Tomatoes and Strawberries; a state of the art computerised technology on two acres of greenhouses and produces high quality hydroponically grown tomatoes and Strawberries. 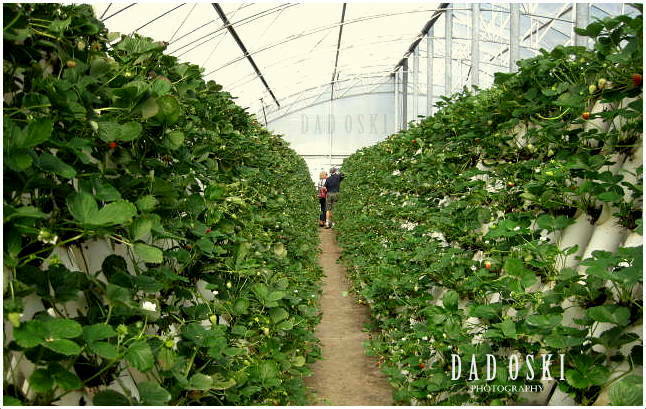 I love the way they grow their strawberries (see photo). There were many visitors who arrived here ahead of us as evidenced by just some few visible ripe strawberries, the good ones were already been picked. After the strawberries, we went back down to Town beach where we had our lunch in one of the picnic grounds. As usual I had enjoyed the coastal walk from here then to Oxley and up to the Flynns beach resort. After lunch and a bit of rest, we drove to the Bago Wine and Vineyard south west of Port Macquarie just off the Pacific Highway to the Milligans Road, an unpaved road, rough and dusty. We enjoyed tasting their wine and we ended up buying some of their wines. 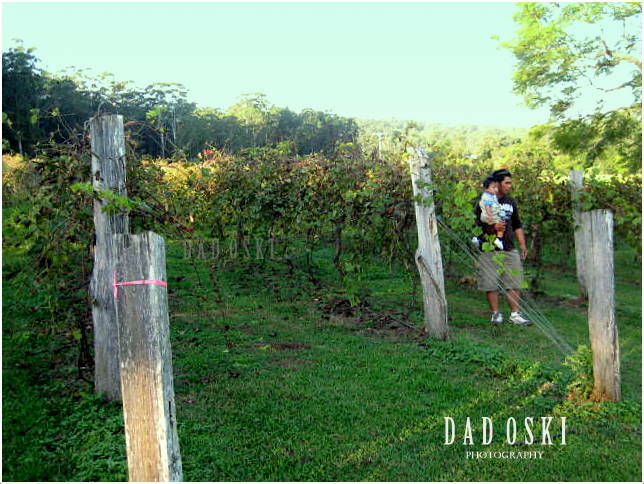 Their vineyard is huge and they have these two huge mazes where we had some few photo shoots. Sometimes Jazz music concerts are held here and then of course selling of their wines during the event. We were not so lucky when we went to Timbertown in Wauchope, because we arrived here half an hour before its closing time, in effect we were not able to gain access to its facilities in its heritage township, where the steam train still runs, timber is still sawn and the bullock team still hauls its heavy load and many more. 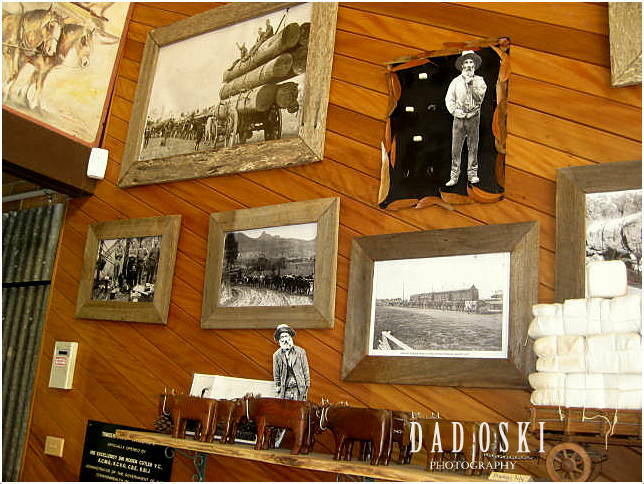 There were some old cutting implements used before, photos displayed at the lobby detailing the history of Timbertown, and how people lived and worked here before. 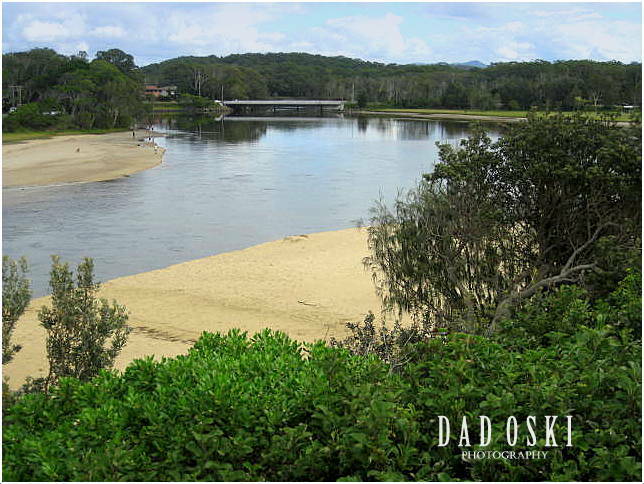 The following day we decided to go to Lake Cathie. The place has a nice view especially at the point where it meets the sea. While my friends were busy eating some snacks at the picnic grounds I went on a bush walk and to the lookout overlooking the sea and the lake. I took some photos of it. What I hate at Lake Cathie is that it has a very strong stinky smell of the sea because of the sea weeds washed ashore, accumulated, some dried, some still wet, and flies sucking up from them whatever they need as food. Then we drove to Bonny Hill beach where we had our lunch. 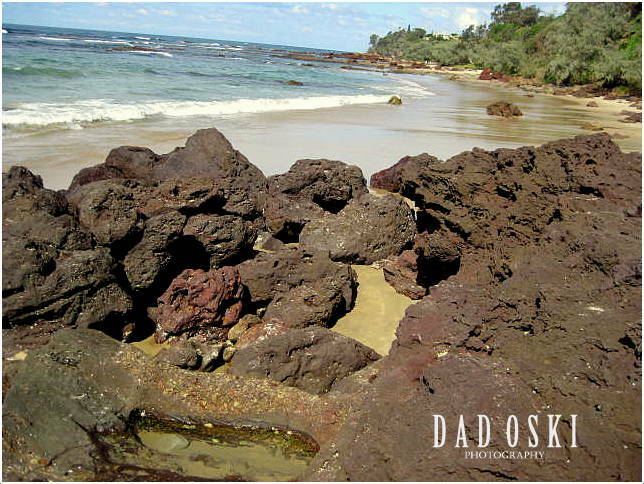 The beach was perfect for the kids because it was low tide at that time exposing the beach sand, but at the far end down south brown coloured big rocks was exposed and they made the beach here a good photography subject. We continued our trip and finally arrived at the Dooragan National Park further down south of Bonny Hill beach. The car park was full and heaps of people were here at that time. 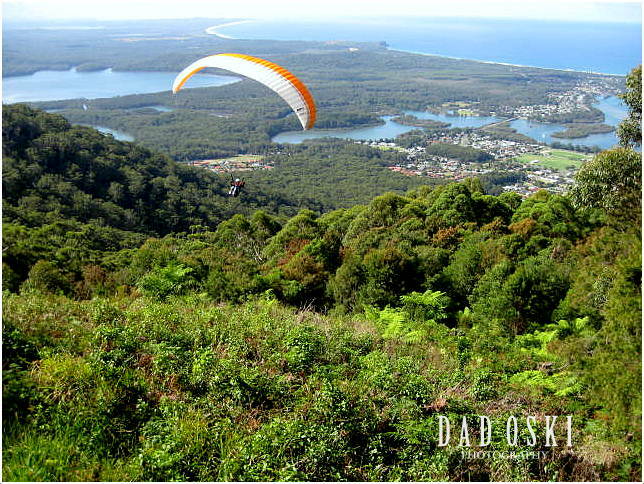 The park is famous for its hang gliding sports and we were lucky to watch some hang gliders preparing their parachutes as well as some guys who took off from the gently sloping edge of the mountain. It’s a nice place for a look out of the sea, the roads and houses down below. 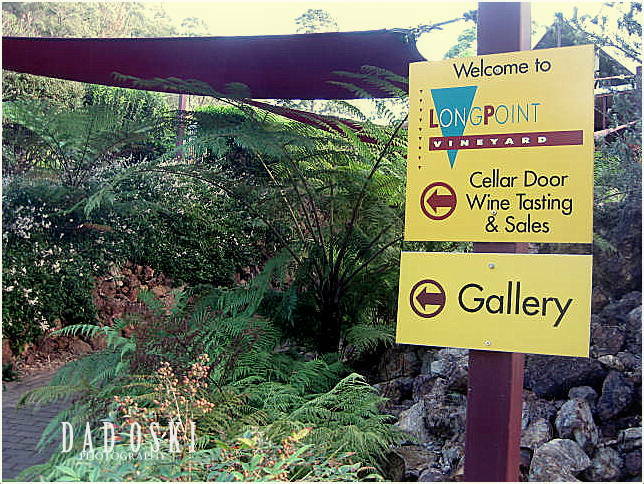 We drove back up north of Bonny Hill to a famous wine tasting called Longpoint Vineyard and Art Gallery. It has red canopy at its entrance into the house perhaps to create a shade from the morning and noon time sun. It has a very cool vineyard and fascinating terrain and surrounding. We didn’t buy any wine here as my friends considered their prices a bit expensive. Wine tasting at Long Point. After that, we went to the Crystalline Pottery by Rod Page which is just around Bonny Hill area or just 20 minutes’ drive south of Port Macquarie. 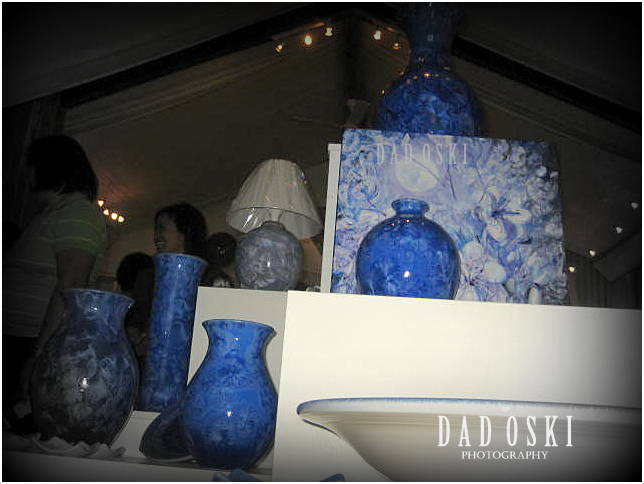 For the last 26 years Rod has perfected his signature crystal glazes to produce work which is both beautiful and functional. Works include bathroom sinks and vanity basins, water features, birdbaths, vases, water filters, platters and lamp bases in a variety of colours and sizes. Indeed, very impressive works! Almost half past four in the afternoon when we’re finished at the Crystalline Pottery. 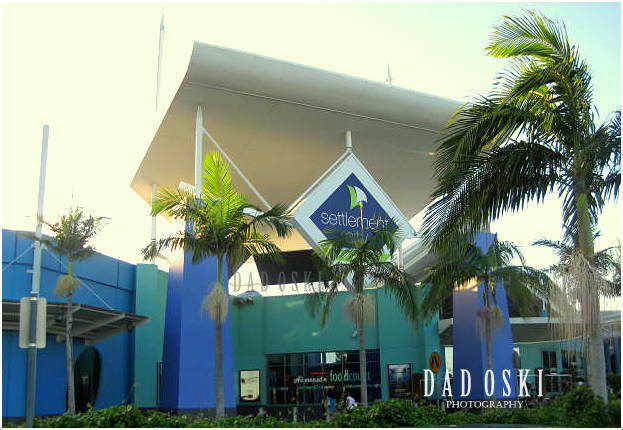 We decided to buy foods at the Settlement City Shopping Centre and had our dinner at the Settlement Reserve picnic grounds overlooking the beach. Some friends prepared our foods and the others cooked the foods. We had a hard time cooking the foods because the picnic grounds were not provided with lights; we utilized whatever torch we brought with us for some of them were left behind in the camp site. We finished here half passed eight in the evening. It was the day for our check out at the camp site. After our breakfast we all packed up our paraphernalia, some guys went filling up their cars with petrol, ready to roll on back home. But most of us were still undecided if we go straight home or to stop at any good places to visit. So, the decision was to visit some beaches along the way. We reached Blackhead Beach at Taree almost half passed twelve in the afternoon. The beach has a nice, big pool and there were only few kids using it when we were here. I explored the place until I reached a lovely park at the top of the mountain that has a nice view of the whole beach. I took some photos of the panoramic beach view and surrounding areas. 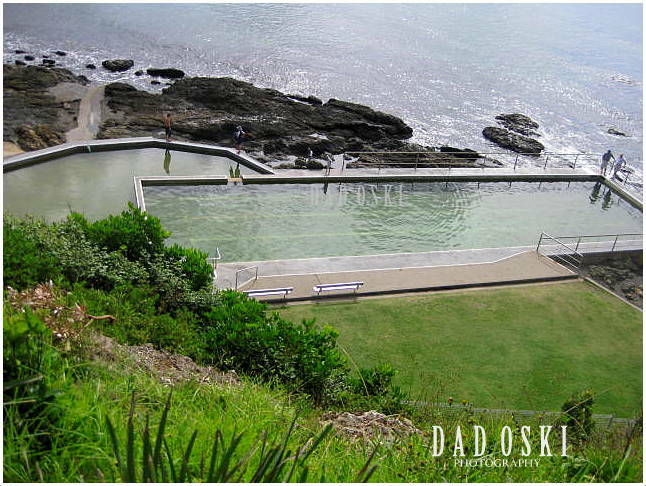 The swimming pool at Blackhead beach. We didn’t stay long at Blackhead. Further down the road on our way home, we dropped by the Foster beach. 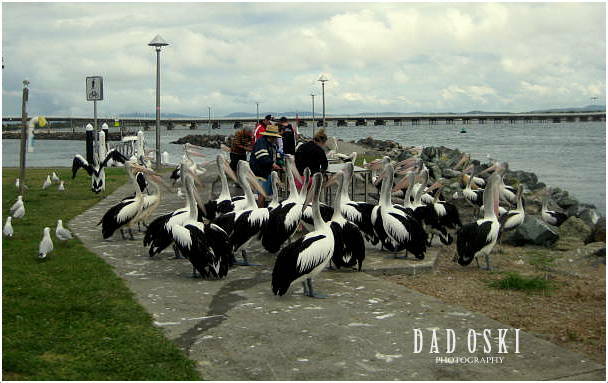 Here, we watched how they fed heaps of pelicans. It was feeding time! We watched how hungry the pelicans were, and how fast they swallow and took another food again. Pelican feeding at Foster beach. There weren’t any available picnic grounds here so we moved to Tuncurry Beach which is just across Foster beach. The place is better than Foster and we did have our lunch here. It was a late lunch, had it quarter passed three in the afternoon. 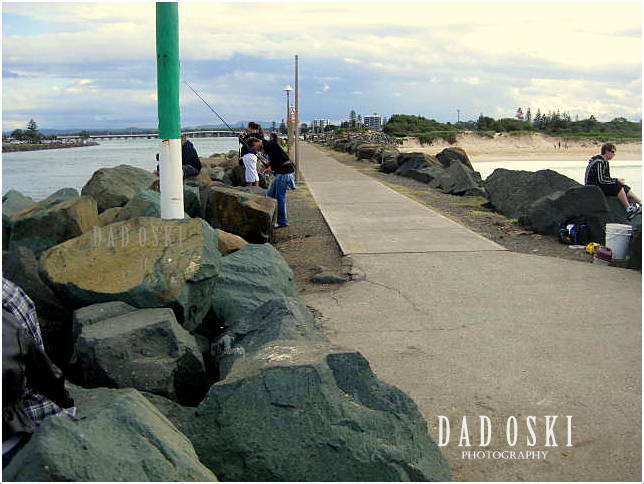 Tuncurry has a long sea barrier of boulders. I saw some guys on both side of the barrier, fishing, their fishing rods were long I wasn’t aware just how many fish they already had caught. This was then our last stop over and we headed home after a good rest here. The fishing ground at Tuncurry beach.